What happens if you swallow gum? If we listen to the moms of yesteryear (and maybe today! ), it'll take years to pass through your digestive system. A watermelon tree had supposedly been growing in that same stomach since I swallowed a few seeds the year before, so I panicked over how little room was going to be left in there for ice cream. Today, more than 30 (ahem) years later, I have yet to sprout branches. As for the gum, I’m pretty sure it’s gone the way of those quarters I downed on a dare when I was 8 years old—straight into the toilet. Sometimes, when we’re laughing at a good joke, running in the park, or just not thinking properly, we accidentally may swallow a piece of chewing gum. Is that bad? Will it impede our digestion? Will it stick to our gut for seven years? Read on to find out. The better question is, Can we digest gum? The short answer is: Kind of. Gum is made of a number of ingredients, including sweeteners (e.g., sugar or xylitol), flavorings, preservatives, and softeners (like vegetable oil or glycerin). Our digestive system can be break down, digested, and excreted ingredients. Gum’s base, however, is made from substances like butyl rubber (the same kind used to make rubber inner tubes), which can’t be digested. First, you’ll likely experience momentary panic as Mom’s warning (“It stays in your gut for seven years”) replays itself in the part of your brain that stores childhood memories and B-list movie quotes. Once you realize it’s a myth, you’ll breathe a sigh of relief while your digestive system does its job. As with other foods, your body will break down the parts of the gum it can use and, mentioned above, fluid will help carry the rest through your intestinal tract and out of your body. 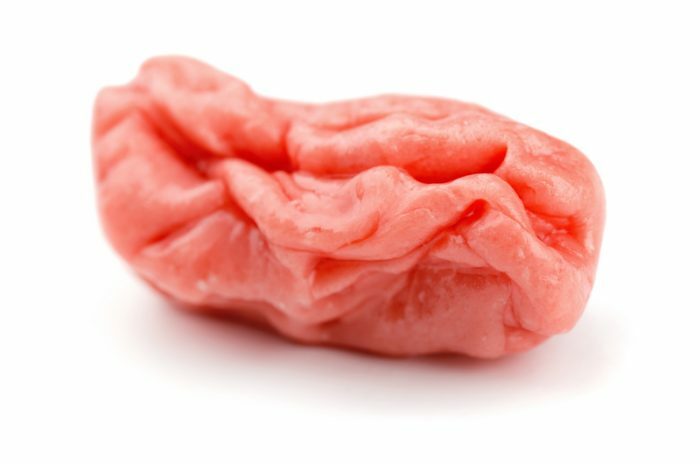 Can Swallowing Gum Hurt You? A study in the journal Neurology found that chewing gum can increase the flow of saliva and the frequency of swallow in patients with Parkinson’s disease. Other research shows that chomping on a stick of gum can help reduce stress. Swallowing gum will have no ill effects on your health—unless you’re frequently gulping multiple wads or suffer from a digestive disorder. A 1998 study published in the journal Pediatrics outlined three cases in which children developed severe obstructions in the intestinal tract and esophagus. In all three instances, the children had swallowed multiple pieces of gum (e.g., three or more daily), which resulted in a bezoar—a mass trapped in the gastrointestinal system. According to the American Academy of Pediatrics, other minor side-effects include abdominal pain, gas, mouth ulcers, dental and jaw problems, and diarrhea. The reason it doesn’t stick around? Your intestines move often, helping the gum to pass through without getting caught up, she says. This process is called peristalsis, and it involves muscles within the intestines that push pieces of food, digestive juices, and waste along until they can be pushed out completely. How Much Gum Is Too Much to Swallow? What Are the Downsides to Chewing Gum? In addition to posing a choking hazard, gum can also cause cavities, especially if you’re chewing a brand laden with sugar. Gum is also filled with chemicals—from butyl to sweeteners like xylitol —the long-term effects of which aren’t fully known. 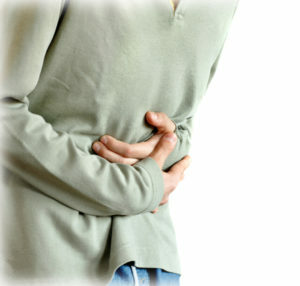 Another downside: sorbitol (a common sweetener) can cause diarrhea. As with anything, having too much can cause problems, so stick with a piece or two of sugar-free gum a day tops. Also, don’t give gum to kids under 5. They’re too young to understand not to swallow it. abdominal pain, brain, children, colonoscopy, constipation, constipation remedies, corn, diarrhea, diet, diet tips, digestion, digestive, fermented foods, fiber, food, food cravings, gastroenterology, gastrointestinal, gut health, gut health diet, health, healthy gut, how to stop cravings, is pizza healthy, magnesium, nutrition, pain, parkinson s disease, preservatives, probiotics, side effects, stress, sugar, ulcers, vegetable oil. I thought you might be interested in this article on https://universityhealthnews.com: What Happens If You Swallow Gum?